Twisted Chocolate Limited Edition Products by Giant Foodstores Review + Gift card giveaway! UPDATE: GIVEAWAY CLOSED & WINNER CHOSEN! 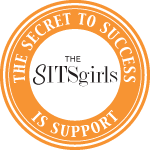 UPDATE: WINNER IS KARA B. CONGRATULATIONS! Hi, guys! I know it's been awhile but I am back! Giant sent me an amazing chocolate infused packaged last week that I have been dying to share with all of you. 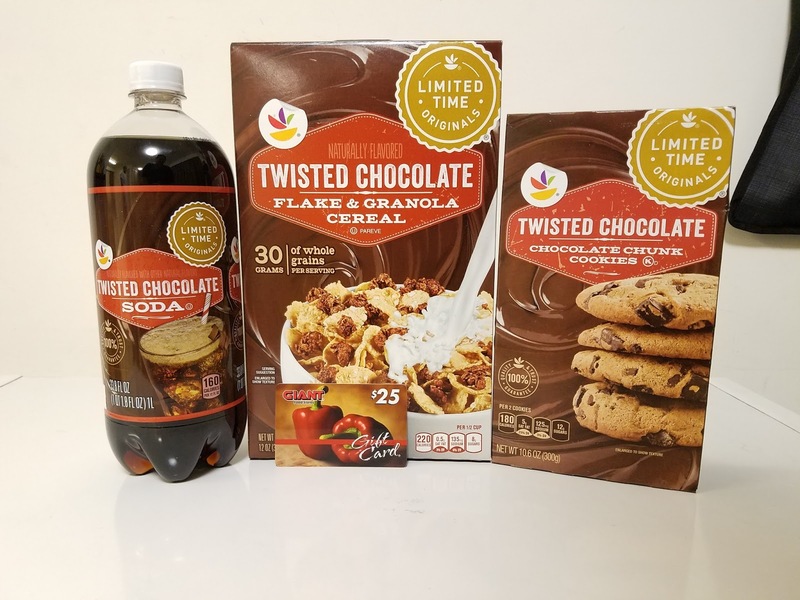 To tempt your sweet tooth, GIANT Food Stores has launched the latest flavor of their Limited Time Originals brand: Twisted Chocolate. It’s not just any chocolate. This new flavor is a decadent chocolate with a hint of something unexpected. Let's start with the soda. The soda was not what I had expected. It tasted like root beer but had an after taste of semi-sweet chocolate. It wasn't our favorite but we liked it. 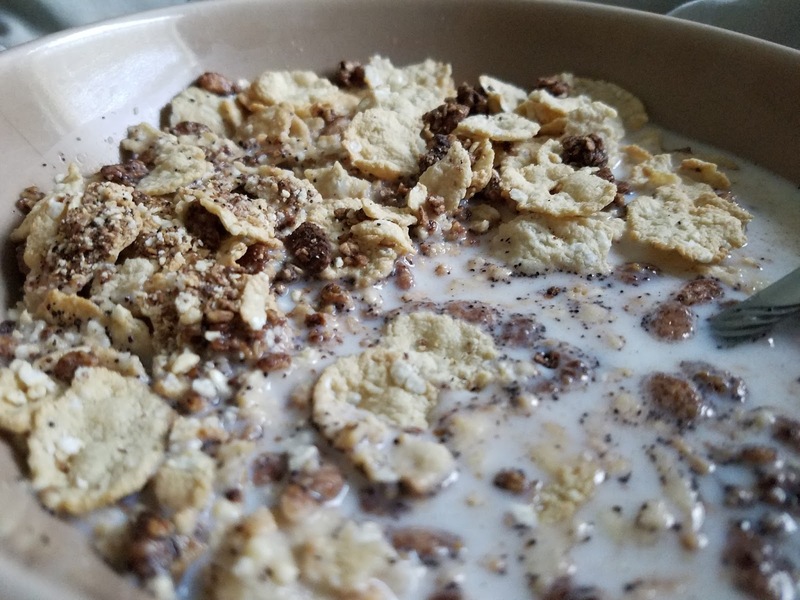 The cereal was great! It was rich with chocolate yummy goodness and it tasted healthy. It didn't get soggy fast and is a well-developed product. I think Giant should have this on its shelves year round. These cookies were the best cookies I have ever tasted! It had a flavor I couldn't quite put my finger on. Better than and brand cookies or bakery cookies. I couldn't take pictures because we devoured these cookies in less than 10 minutes.....Okay, I'm lying it took us about 5 minutes. Please, Giant, have these available all year round. I'd love to make so many things with these in the summer. Some of the Twisted chocolate items are listed below. Some have already become our newest obsession. The Prize: Giant sent me a $25 gift card to give away to one of my readers. To Enter: Simply leave a comment telling me what product from the Twisted Chocolate Collection you’d like to try OR tell me what is your favorite chocolate treat?! I’ll randomly choose a winner at 6:30 am EST on Monday, March 6, 2017. Please use a valid email when commenting so it makes it easier to contact you if you win. I saw these products advertised and wondered what flavor the chocolate is "twisted" with. Helen, thanks for the review. I am definitely going to try the Twisted Chocolate, Chocolate Chunk Cookies! They sound wonderful and I'm always looking for a good, high quality cookie to satisfy my sweet tooth!